Jesus Is Coming Soon……Are You Ready? Hebrews 10:23-25 10:23 Let us hold fast the profession of our faith without wavering; (for he is faithful that promised;) 10:24 And let us consider one another to provoke unto love and to good works: 10:25 Not forsaking the assembling of ourselves together, as the manner of some is; but exhorting one another: and so much the more, as ye see the day approaching. 1 Thessalonians4 But you, brethren, are not in darkness, so that this Day should overtake you as a thief. 5 You are all sons of light and sons of the day. We are not of the night nor of darkness. 6 Therefore let us not sleep, as others do, but let us watch and be sober. Matthew 16:1 The Pharisees and Sadducees came to Jesus and tested him by asking him to show them a sign from heaven. 2He replied, “When evening comes, you say, ‘It will be fair weather, for the sky is red,’ 3and in the morning, ‘Today it will be stormy, for the sky is red and overcast.’ You know how to interpret the appearance of the sky, but you cannot interpret the signs of the times. 4A wicked and adulterous generation looks for a miraculous sign, but none will be given it except the sign of Jonah.” Jesus then left them and went away. So the question is: What are we supposed to look for and how will we know when the return of Jesus in near? Mathew 24:32 “Now learn this parable from the fig tree: When its branch has already become tender and puts forth leaves, you know that summer is near. 33 So you also, when you see all these things, know that it is near—at the doors! 34 Assuredly, I say to you, this generation will by no means pass away till all these things take place. 35 Heaven and earth will pass away, but My words will by no means pass away. Isaiah66: 8Who hath heard such a thing? who hath seen such things? Shall the earth be made to bring forth in one day? or shall a nation be born at once? for as soon as Zion travailed, she brought forth her children. Bringing with it the ancient customs, dietary laws, cultural traditions, even reviving their ancient language of Hebrew, a language considered ‘dead’ before Latin was developed. That they all may call on the name of the LORD, To serve Him with one accord. Magog – Most agree this is a reference to Russia. Meshech – Most associate this with modern day Turkey, ancient Anatolia, but some say it refers to the Moscow area. Tubal – Most associate this with modern day Turkey, ancient Anatolia. The two main nations that lead this attack against Israel are Russia & Iran. If you’ve been watching the news then you know the alliance these two have…especially in the area of Iran’s nuclear plants. If Israel is forced to attack Iran because of the nuclear threat it poses, then it wouldn’t be hard to see this Gog/Magog alliance coming together. Daniel 9:26 After the sixty-two ‘sevens,’ the Anointed One will be cut off and will have nothing. The people of the ruler who will come will destroy the city and the sanctuary. The end will come like a flood: War will continue until the end, and desolations have been decreed. 27 He will confirm a covenant with many for one ‘seven.’ In the middle of the ‘seven’ he will put an end to sacrifice and offering. And on a wing of the temple he will set up an abomination that causes desolation, until the end that is decreed is poured out on him. This man will be the anti christ and the confirmation of the peace covenant will begin the seven year tribulation period. This scripture began fulfillment in 1950 when the Roman Empire began to show signs of being revived. In 1950 the European Coal and Steel Community was proposed as a means of achieving economic unification in Europe following the war. The hope was that this would strengthen economic trade in Europe. This unified effort led to the signing of the treaties of Rome in 1957, which established the European Economic Community (EEC), and the European Atomic Energy Council. That treaty was taken a step further with the signing of the Brussels Treaty in 1965. The Brussels Treaty began the process of rebuilding the old Roman Empire through reunification of European states under one political system, one economic system, and eventually under the protection of one military force. The treaty established a commission, council, parliament, and court for the union. The revived Roman Empire prophesied in the Bible was well on its way to becoming a reality. The EU today is made up of 27 countries, however the ten nations of the Western European Alliance have a separate status as full members, while those nations who joined subsequent to the original 10 have only associate membership, or observer status. This 10 nation military wing of the EU may very well fulfill the prophecy of the beast with 10 horns from Daniel 7:7-8 and Revelations 13:1. On this beast’s back will ride the woman that symbolizes a global religious system that is to appear before Christ returns to set up His kingdom. Another thing to note is that just this week Ireland voted for the Lisbon Treat. They were the last nation standing in the way and as soon as the treaty is ratified it will create a position in which whoever fills it will be over the entire European Union! 2nd Timothy 3:1-8 3:1 This know also, that in the last days perilous times shall come. 3:2 For men shall be lovers of their own selves, covetous, boasters, proud, blasphemers, disobedient to parents, unthankful, unholy, 3:3 Without natural affection, trucebreakers, false accusers, incontinent, fierce, despisers of those that are good, 3:4 Traitors, heady, highminded, lovers of pleasures more than lovers of God; 3:5 Having a form of godliness, but denying the power thereof: from such turn away. 3:6 For of this sort are they which creep into houses, and lead captive silly women laden with sins, led away with divers lusts, 3:7 Ever learning, and never able to come to the knowledge of the truth. 3:8 Now as Jannes and Jambres withstood Moses, so do these also resist the truth: men of corrupt minds, reprobate concerning the faith. * 11 February 2006 — The real number of hate crimes in the United States is more than 15 times higher than FBI statistics reflect, according to a stunning new government report. Hate crime statistics published by the FBI since 1992, based on voluntary reports from law enforcement agencies around the country, have shown annual totals of about 6,000 to 10,000, depending on the year. But the new report, “Hate Crimes Reported by Victims and Police,” found an average annual total of 191,000 hate crimes. That means the real level of hate crime runs between 19 and 31 times higher than the numbers that have been officially reported for almost 15 years. The data showed 84% of hate crimes were violent, meaning they involved a sexual attack, robbery, assault or murder. * In France, authorities reported in 2006 antisemitic offenses rose by 6.6 percent. The number of hate crime offenses overall remains extraordinarily high compared with the late 1990s. * In Germany, early estimates for 2006 on the number of extremist crimes suggest the highest level of such crimes since the current monitoring system was introduced in 2001. These figures continue an upward trend over the last several years. * In the Russian Federation, hate crimes against ethnic, religious, and national minorities have proliferated. According to a leading monitor, there were at least 31 racist murders in 2005 and hate-based attacks on 413 individuals. Those numbers rose significantly in 2006 to 540 cases of violent hate crimes, including 54 murders, sustaining a steady trend of rising violence over the past several years. * In the United Kingdom, a dramatic surge of racist and religiously-motivated violence followed the July 7, 2005 bombings in the London Underground and a city bus. Religiously-motivated hate crimes rose by as much as 600 percent in London in the month following these bombings. Overall in 2006, hate crimes in the United Kingdom continued at a historically high rate. * An estimated 200 million believers in over 60 countries are subjected to harsh persecution, yet their stories are rarely reported in the Western media and most Western Christians seem to know little about their plight. * The media frequently reports that 50% of American marriages will end in divorce. It appears to be reasonably close to the probable value. The Americans for Divorce Reform estimates that “Probably, 40 or possibly even 50 percent of marriages will end in divorce if current trends continue. *The last decades have shown a rise in the rate of divorce in Europe. In all European countries, the probability of divorce or separation among married or cohabiting couples has increased, although in some countries more quickly and more radically than in others. * A growing percentage of committed couples have decided to live in a common-law relationship rather than get married. * 37 Percent of U.S. Births are out of wedlock. That is nearly 4 out of every ten births. * If you add up the estimated number of surgical and chemical abortions from 1965-2005, the total is more than 600,000,000 babies killed in the United States alone. As you can see the statistics are alarming and they go on and on. There are more than I can put into this study. We haven’t even covered “The Birthpang Signs” in Mathew 24:4-8 or the reformation of the Sanhedrin and all that is going on in preparation for the rebuilding of the third temple, etc., but hopefully you see the signs! 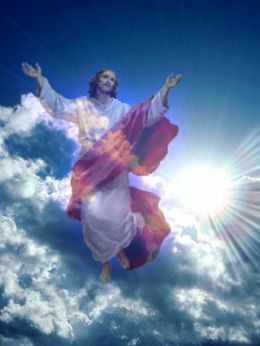 Jesus is coming soon…..Are You Ready? “In the time of my favor I heard you, and in the day of salvation I helped you.”I tell you, now is the time of God’s favor, now is the day of salvation. Romans 10:9 That if thou shalt confess with thy mouth the Lord Jesus, and shalt believe in thine heart that God hath raised him from the dead, thou shalt be saved. 10:10For with the heart man believeth unto righteousness; and with the mouth confession is made unto salvation. Ephesians 2:8-9 For by grace are ye saved through faith; and that not of yourselves: it is the gift of God: 2:9Not of works, lest any man should boast. Find a Bible believing church that adheres to the word of God as it is written in the Bible and get connected with other believers who can help you in your walk……and look up for Jesus is coming soon! Will you be ready?